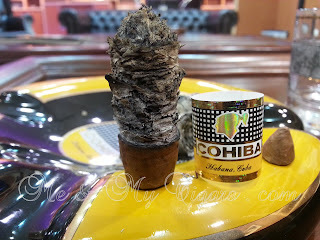 During the 14th Habanos Festival last February 2012, COHIBA announced the introduction of the Piramides Extra as a new addition to the current Línea Clásica (or the Classic Line - which has the six Vitolas Siglo series (I-VI)) of the brand. 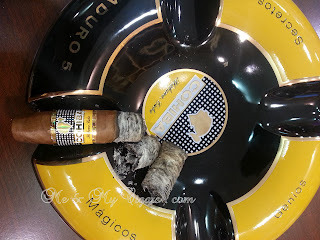 In the past, the Figurado shape COHIBA were only produced for limited edition and celebratory cigars, but now it will be a permanent collection available similar to the BEHIKE and MADURO 5 collections. The Construction - A beautiful smooth Colorado Claro wrapper with almost unnoticeable small veins. Firm tight roll and a flawless Pyramid head and cap. 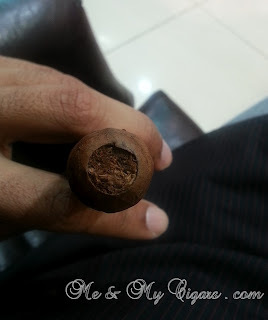 When bringing the cigar close to your nose you can pick up some of that earthy scent and a recognizable cedar smell. 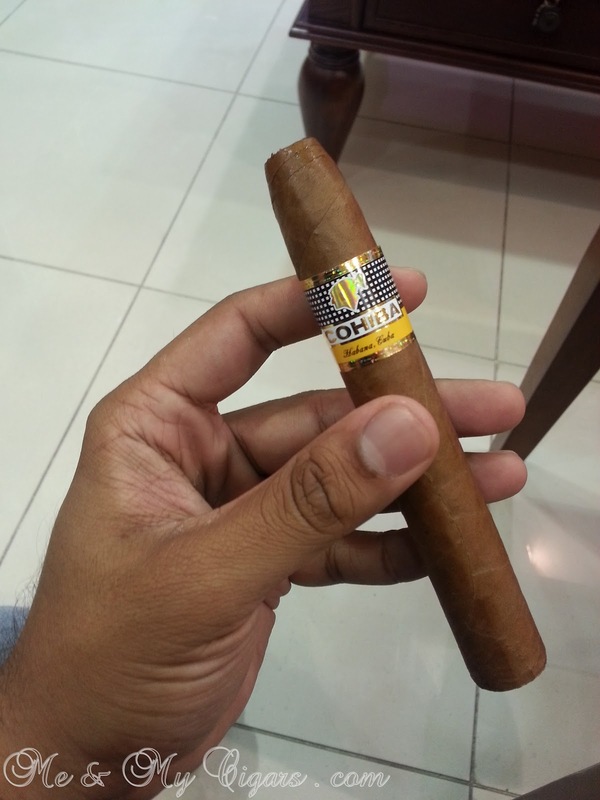 The COHIBA Piramides Extra showcases a extravagant 54 gauge ring which packs in the extra long fillers for full on flavor! The Draw - Using a stainless steal 2-blade cutter, I clipped about 1cm off, a little short of the cap line, to test the draw and it was perfect, smooth and no obscurity. In the pre-lighting draw you can pick up the cedar wood flavor clearly. 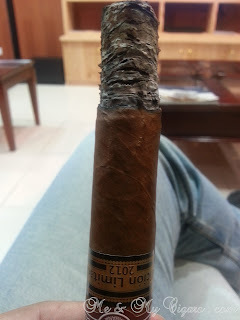 The First Burn - Flavorsome smoke full of cedar notes and black pepper. 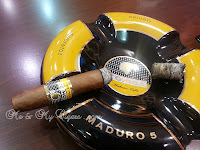 The spiciness of the draw are very reminiscent of the Siglo VI and a leathery after taste of the smoke. The Middle Burn - Here is where I savored most of the COHIBA Piramides Extra characteristics. The Spicy pepper we got from the first burn is gone and we are left with a smooth sweet creamy smoke which also picks up some nutty cereal notes with it. When blowing the smoke out from the nose you get that fresh cut grass scent that is just sublime. 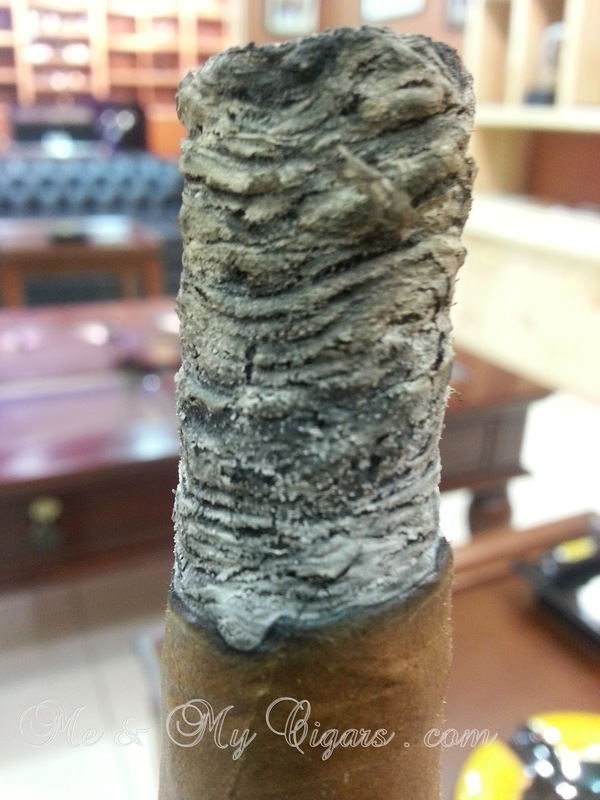 The Piramides Extra continued to burn even and well without going out and the grayish ash was in tacked. The Final Burn - Some bitterness started to come through as I neared the final parts of the Piramides Extra along with the spicy notes from the beginning. Smoke continued to be abundant and full of character - the cedar, the pepper and nutty all continued to flow through as well. 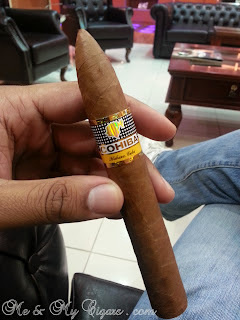 Overall - The COHIBA Piramides Extra was a joyful smoke and had many characteristics of the Siglo Series. Its a medium to full bodied cigar with many reflective characteristics of the brand and is truly a cigar to complete the Línea Clásica portfolio. 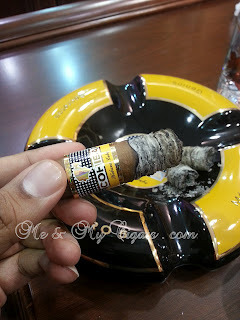 Anyone who smokes Siglo VI I think will love this cigar. 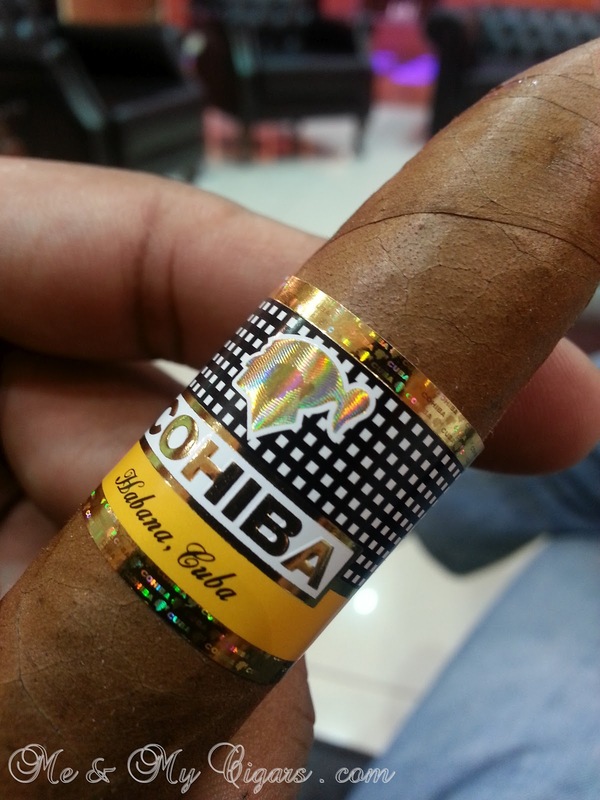 I appreciate being one of the first people to sample this cigar in the region prior to its market release in the Middle East. The Pairing - As with all my reviews, I try to find the perfect espresso roast to accompany and complement these wonderful journeys I take with my cigars. 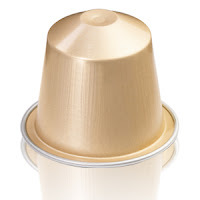 My Nespresso pairing for the COHIBA Piramides Extra would have to be the Cosi. At Intensity level 3, it is light, sweet and has a fresh citrus notes to it that would complement the full bodied characteristics of this cigar. Have a try! 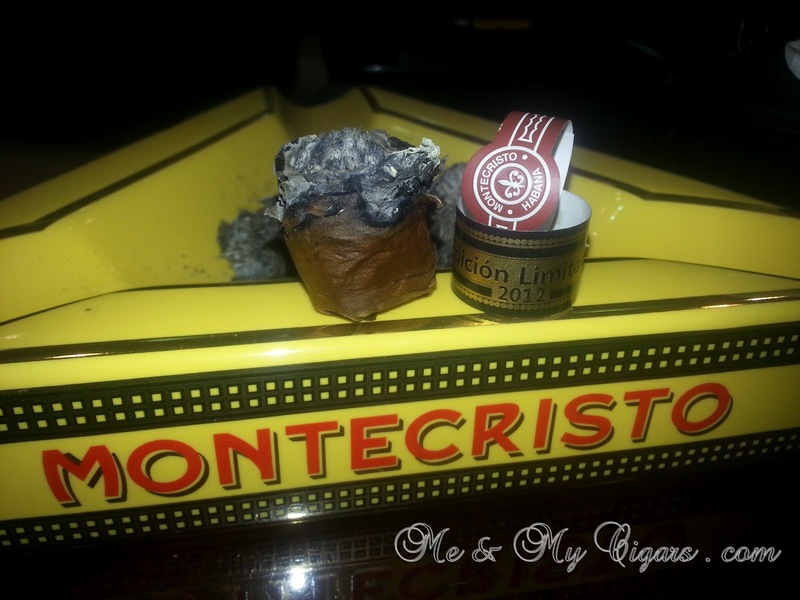 Following my previous posts MONTECRISTO 520 Edicion Limitada 2012 - Pre-review & Re-Post: Announced releases of Habanos Edición Limitada 2012 I have finally got the chance to smoke two of the Edicion Limitada 2012 cigars The UPMANN Robustos (which I will cover in an other post soon) and the MONTECRISTO 520 prior to their market release. The Construction - At first glance with this beauty shows a very smooth mesmerizing dark brown Colorado Claro (almost Colorado Maduro) wrapper with almost minimal visible veins. Construction-wise reviles an astounding 55 gauge ring (with a different Vitola than the 2005 Habanos Collection with similar gauge size and is a little bit wider than previous releases like the Sublimes and Grand Edmuno) and a fairly tight roll. 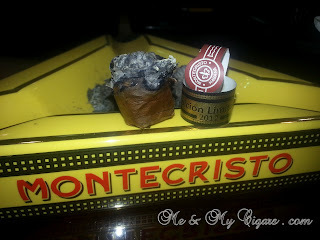 The Montecristo 520 EL 2012 offers an appetizing scent of freshly ground cocoa and coffee beans! The Draw - I used a wide gauge puncher for the cap. 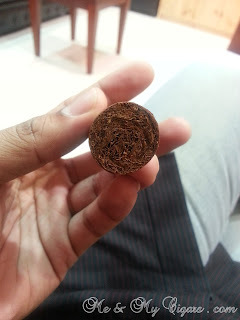 still unlit, the draw is smooth and you can pick up on the sweet taste of the dark chocolate and earthy scent. The First Burn - I used a cedar stick to light this baby up (Read Light Up Your Cigars With Cedar Sticks! 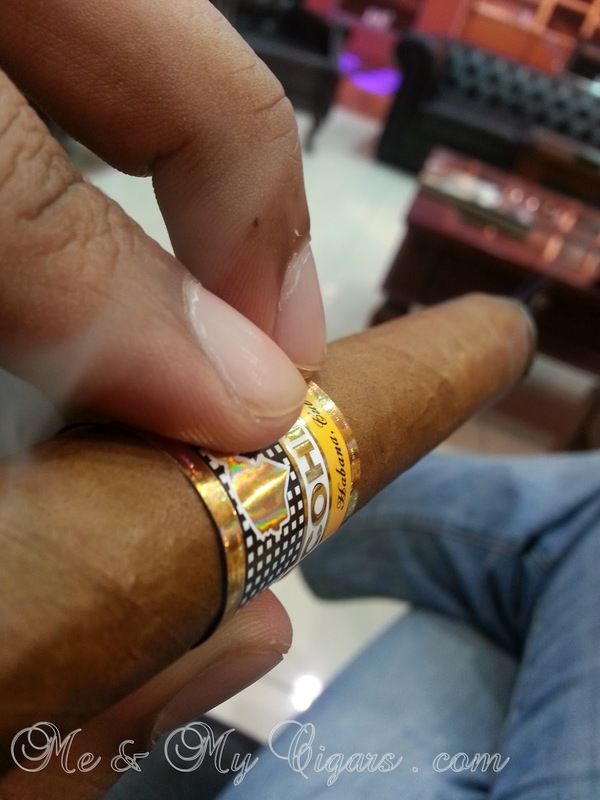 post) and while toasting the foot of the cigar a clear scent of roasting coffee beans starts to build up. Once the burn was even and the first draw was taken in, a soft peppery cedar notes are picked up with hints of coffee and light nutty smoke. The smoke continues to be light but picks up a lot of flavors that can be very complex. You get the slight creaminess and sweetness of chocolate notes at the tip, nuttiness in the middle and a pleasant peppery that hits the back of the throat. Solid dark grayish ash still in tacked during the first burn. The Middle Burn - At this point the 520 starts to build up the character of a Robusto. Smoke is smooth and abundant with a creamer feel. The peppery notes fades away to the background and a zesty cedar wood is highlighted now which can be confused by a leathery taste. A pleasant aftertaste of coffee and hazelnut lingers in the mouth after each draw. Ash continues to be solid and gray but by mid-way watch out for the fall. The Final Burn - Sweet spicy wood notes are the highlights towards the end. 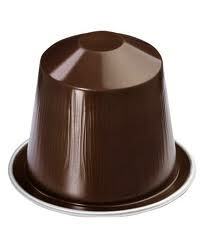 The draw and smoke continues to be smooth and dark chocolate can be tasted on the lips which kicks in towards the end. 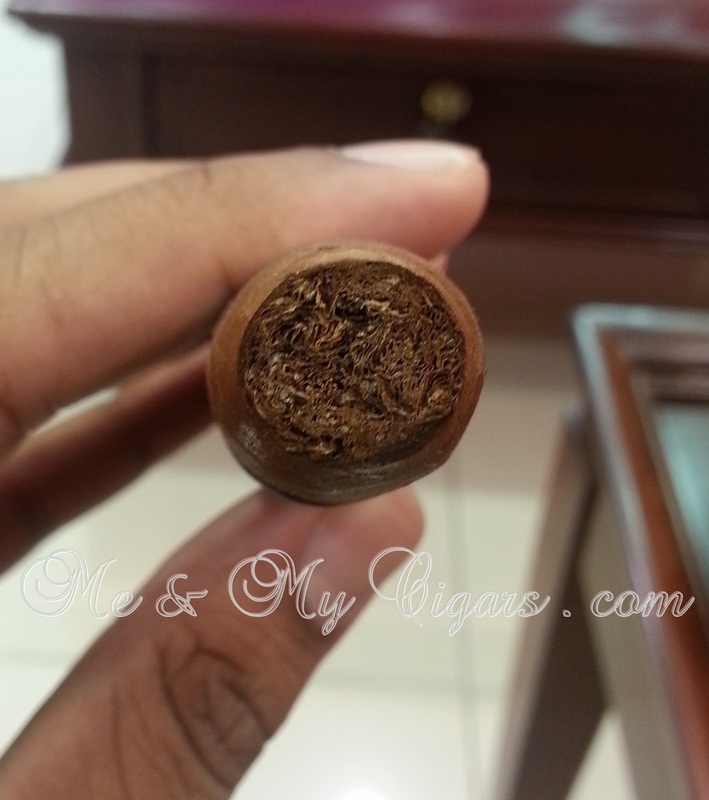 There is a very satisfying character in this cigar that truly makes it a pleasureful smoke. 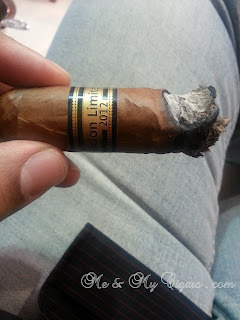 Outstanding construction, great characteristics of a well bodied Robusto and pure enjoyment. 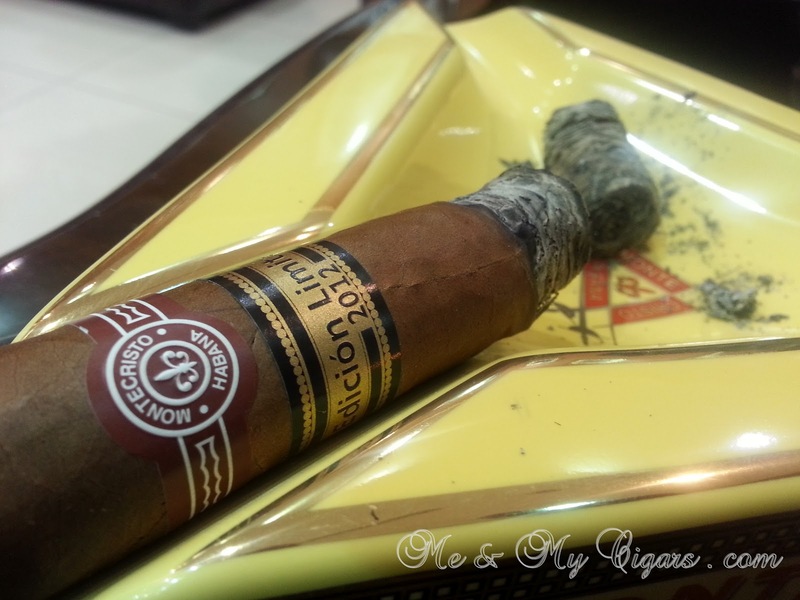 If you like smoking the MONTECRISTO Sublimes 2008 or the Grand Edmundo 2010 then definitely make room for the 520! 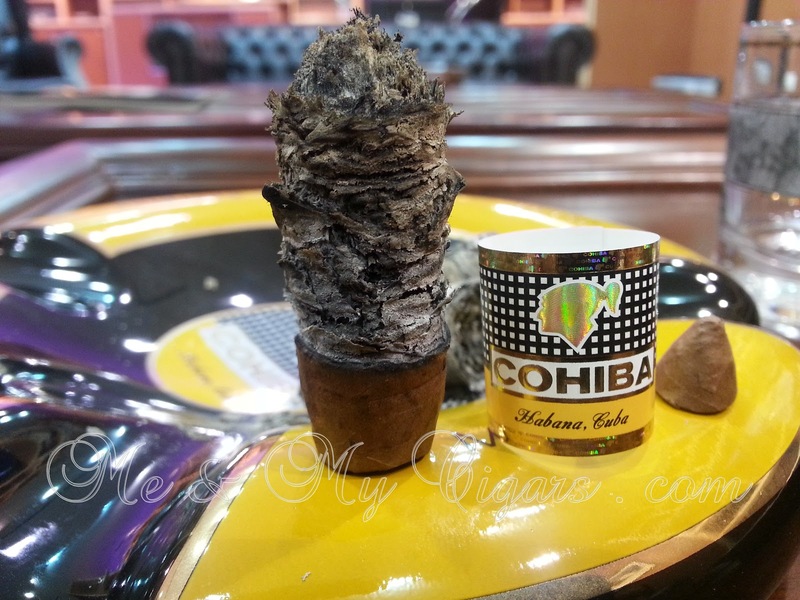 Now this cigar I smoked was a sampler taken from the 14th Habanos Festival in Cuba back in February, so it has been resting for more than 6 months until I got the chance to light it up. You can only imagine what aging would do to this beauty... Definitely a cigar worth aging! 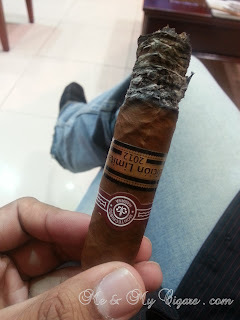 The Pairing - to counter balance the woody and peppery characteristics of the 520, I have paired this with Nespresso's Dulsao do Brasil for a well rounded-ness sweet roast with medium intensity 5 to not over power the cigar but to complement the flavors. Nespresso Crealto Limited Edition 2012 - "Inspired By High Gastronomy"
Nespresso's Crealto the new 2012 Limited Edition showcases around the globe with its unique blend that was inspired by culinary and gastronomy techniques of low temperature slow roasting to bring a taste of a well rounded, no acidity, high intensity (8) great tasting espresso shot! Crealto (pronounced Kre-Al-To) has already hit the market in the US and parts of Eurpoe. We hope it reaches us in the Middle East before October and not delay us similar to what happened with the Naora. 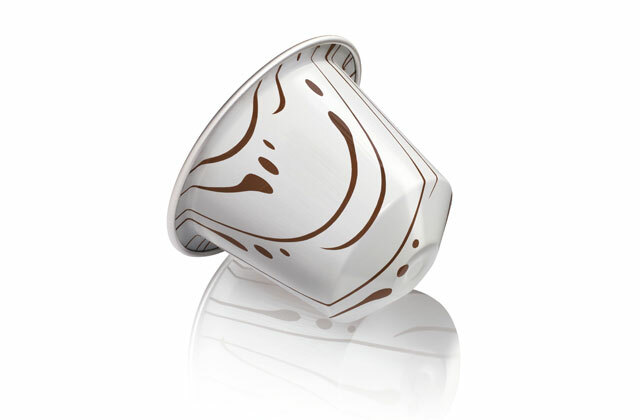 Crealto is the first Nespresso Limited Edition inspired by a culinary technique. A unique blend of washed Arabicas from South & Central America and Indonesia, Crealto is roasted slowly at low teperature for intense roasted notes and roundness. The Story - With Crealto, Nespresso once more demonstrates its never ending quest for new coffee experiences, in this instance inspired by the world of High Gastronomy and the encounter between two experts. The Encounter - Crealto results from an encounter between one of Nespresso's expert, Alex Rodriguez and awarded Chef Mauro Colagreco who share a love for high-quality and a desire to create. 1. 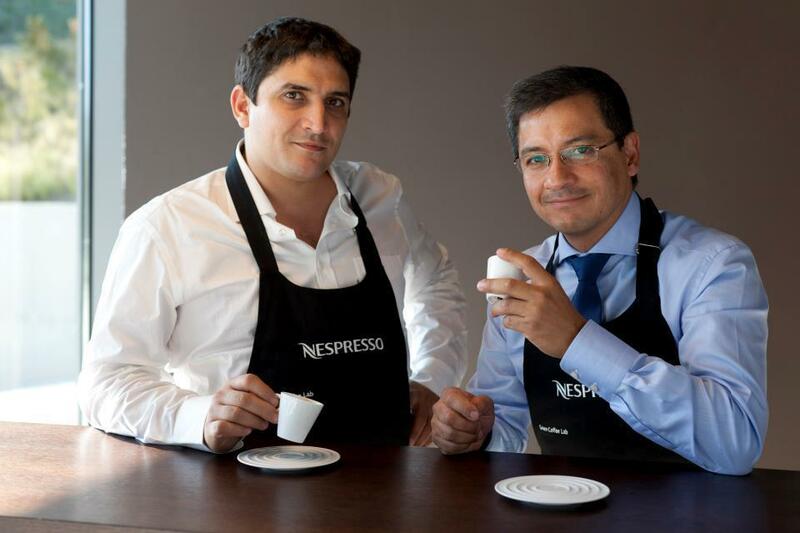 The Selection of origin: Only a specific selection of the best arabicas made long roasting possible. Crealto's unique blend has been carefully designed with coffee beans that grow in areas with specific soil and weather conditions. This allows the coffee beans to modify their intrinsical composition and absorb more elements, avoiding them from developing over-roasted notes in the process. 2. The Mastering of Roasting: The long roasting process that requires extreme rigor. By roasting three times longer than average Nespresso roasting time and at lower temperature, the heat is diffused right in the heart of each grain. 3. The Revelation of Flavors: Finally, Long roasting reveals a coffee with roasted noted that are surprisingly round, with no acidity and a nice bitterness, a lingering aftertaste and a full-bodied intensity.